Braeside pupils have been enjoying the vast selection of delicious food that our new canteen boasts. As most of the girls had brought a packed lunch to school for many years, they were very keen to have an input and to work with our new chef Stephen. 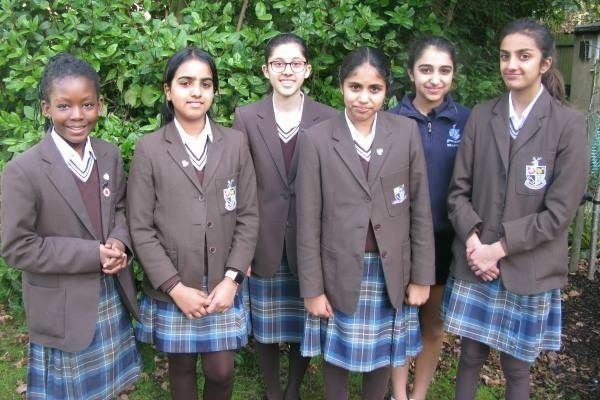 Pupils have volunteered to form a ‘food committee’. Their role is to survey other pupils in the school about what they like and would like to see more of. Today we held our ‘food forum’ to evaluate what they liked so far about our new cuisine. The muffins, fresh soup and olives were top of their list so far! Pictured are the committee.